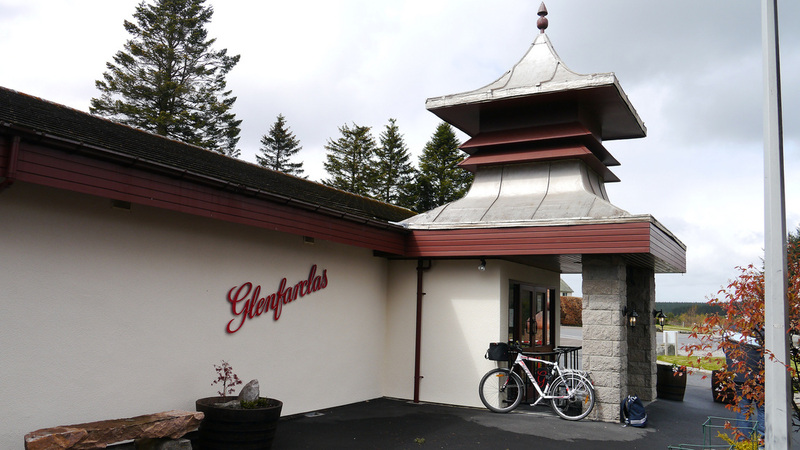 Glenfarclas welcomes visitors - it was one of the first distilleries to open a visitor centre - in 1973. The standard tour costs £7.50 and ends with a dram in the Ship's room and is available throughout the year Monday - Friday, Saturdays also in July to September. See website for times and booking details. The Connoisseur's Tour and Tasting is available for £40 on Fridays at 2pm in July, August and September, by prior appointment. 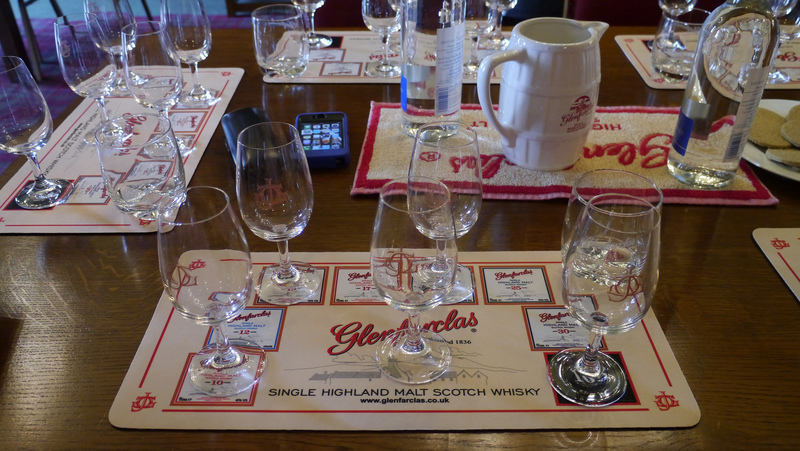 The tour ends with a tasting of four drams of Glenfarclas. 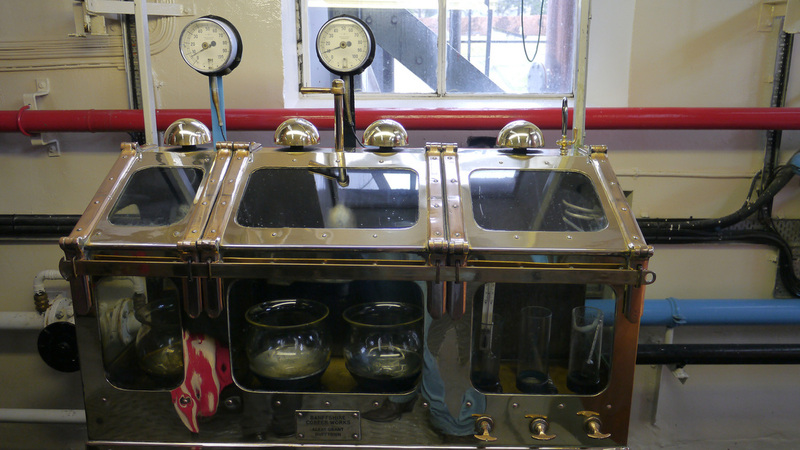 Five Decades Tour & Tasting - 2 or 3 times a month - £100. The pictures of Glenfarclas were taken on my visit during the 2012 Speyside Festival, at a special tour and tasting with Ian Buxton, author of the official 'biography' of the distillery commissioned to commemorate the 175th anniversary, and George Grant. As can be seen Glenfarclas is photographer friendly. Glenfarclas hasn't been owned by the Grant family for all its existence but they have been involved since 1860 - six generations (all named George or John) have run the distillery. They did have severe problems due to the Pattison scandal - they'd gone into business with Pattison, but managed to survive. Glenfarclas is one of the few distilleries to still heat their stills by direct external firing, rather than internal steam coils. 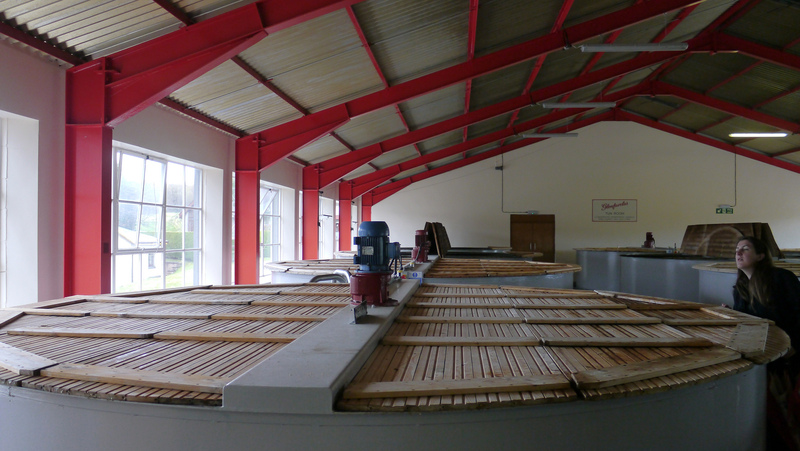 The stills themselves are the largest on Speyside. The ship's room at the distillery's visitor centre is so named because it features wood panelling previously in RMS Empress of Australia. Broomhill station on the Strathspey Railway is 20 miles away. 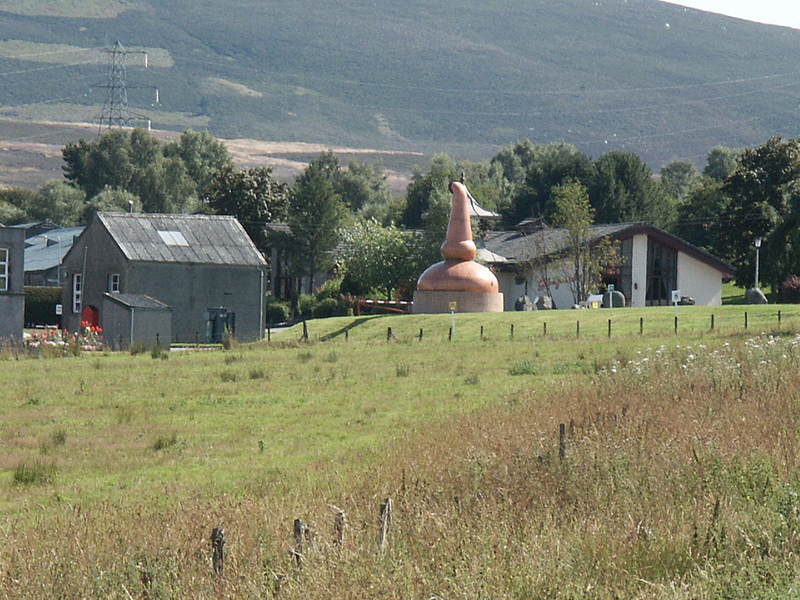 Dufftown on the Keith & Dufftown Railway is 10 miles away - but services are limited. Nearest National Rail stations are Aviemore (AVM) (31 miles), Carrbridge (CAG) (26), Elgin (ELG) (19), Forres (FOR) (21), Keith (KEH) (19). Live train times: AVM, CAG, ELG, FOR, KEH. Off the A95 near Marypark - you can't miss the sign at the end of the road. Glenfarclas's range could fill the page - they have stocks of whisky from every year since 1954, and have released single cask bottlings - the Family Casks - for every year from then until the 2001 which was released in 2017. Bottles from all years are still available - those that have sold out being replaced by fresh casks being bottled. In addition to this the regular range (bottled at 43% unless otherwise stated) consists of 10 (40%), 12, 15 (46%), 17, 21, 25, 30 and 40yo and the 105 (that's 105 proof or 60%). Compared with any other distilleries that have bottled a 30yo or 40yo - the Glenfarclas is still considerably cheaper. Until 2015 the 40yo was less than £300. Glenfarclas also bring out special editions form time to time eg the 175th Anniversary bottling released in 2011 - four casks from the 1960s with a combined age of 175; and £511.19s.0d (43%) released in 2015 to celebrate the 150th anniversary of the purchase of the distillery for £511.19s.0d by the Grant family. 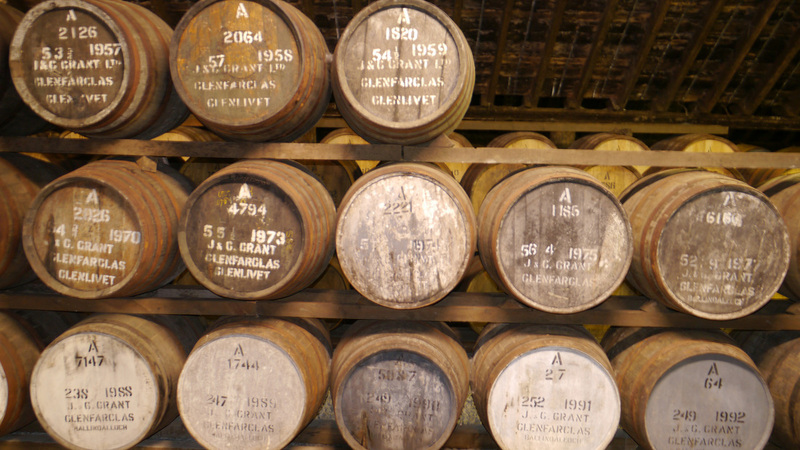 Few independent bottlings are available other than SMWS - Glenfarclas was the first distillery they bottled, and they have now bottled some 160 casks. A few Signatory bottlings are available, and one or two others occasionally. Photos on this page were taken by me. Click on photo to enlarge. 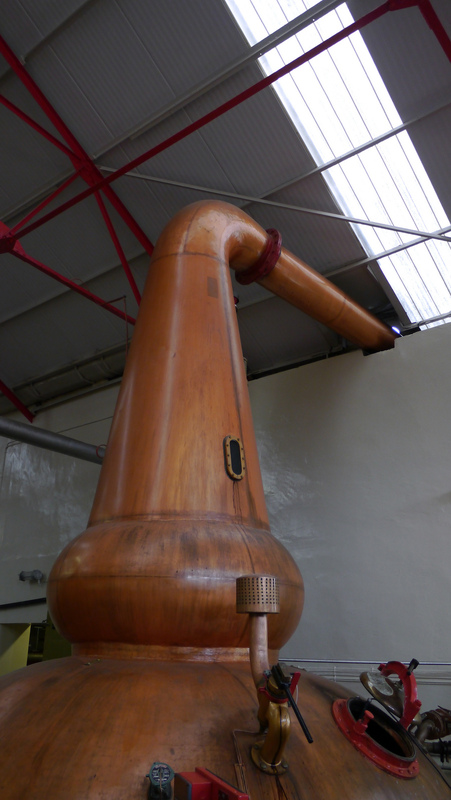 Full size versions of all my photos of Glenfarclas Distillery are available on Flickr.